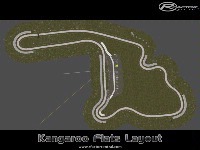 G`day,this is my first attempt at a track.It was done by myself and my son,with some help from blue.The track has a lot of elevation changes,of camber,following track,with the aussie feel to it. 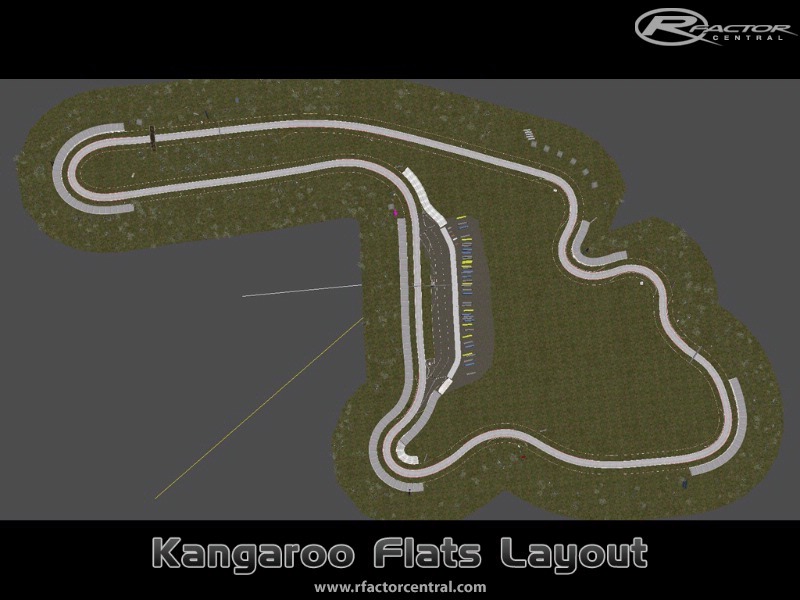 There are currently no setups for Kangaroo Flats. Add a Setup. thanks for the new link croc01. was very disappointed today when i saw this posted but couldnt download. glad i came back to check again tonight. look forward to trying this out. What a blast this track rocks !! This looks a lot like Mid-Ohio, one extra turn perhaps. Should be fun, Thanks. The Filefront link doesn't work. Is ti possible to have more link to DL ? very fun track. you have a little of the best of all tracks, i love lots of elevation changes and you did a great job of making the grade angles flow into and out of every corner. you also used perfectly sized corner markers for those of us that use a standard sized monitor with decent res and not so great eye sight. the only change i would make is get rid of the group of spectators and throw a few more roos around the track, that is just great.....too funny. i wish we could all accept and agree we know we are playing a game and there for all track makes dont even bother putting cheesy looking 2d specs on any track, especially not one this fun. cant wait until your next release. This is the final version and latest track.